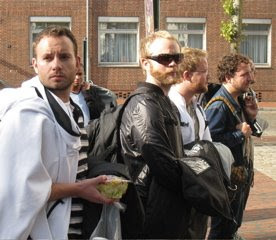 The Schleswig-Holstein festival houses its artists in Hamburg. 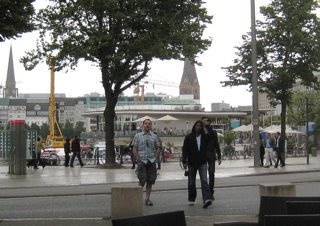 Cortez, Michael and Alan get in some sightseeing before our departure for Meldorf, an hour and a half away. It's the last big city we'll be in until we get to Poland l0 days from now. 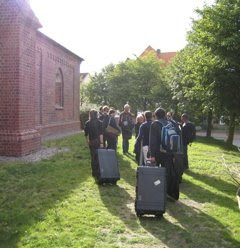 Arriving at the Meldorf Dom. 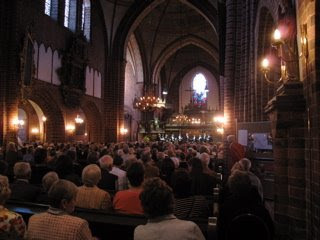 The 13th century Meldorf Dom was packed for our concert, and CD sales were wild! A few people even asked for our new Mission CD, which comes out later this month. Great audience, and another really enjoyable acoustic. 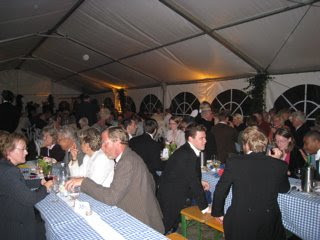 Great hospitality from the Schleswig Holstein Festival ended with this lovely reception we joined after our Meldorf Dom performance. A nice way to finish our time in Germany. We've been a bit spoiled - three nights in Jurmala and three in Hamburg - staying in the same place for a few days is a real luxury when you're on the road. We have to pick up the pace now and start the two nighters. Tomorrow: two planes and a bus to Lessay on the Normandy coast.